Where did all this come from, all these words and stories? I look at the collection of poetry that is Nocturnal Wanderings and the answer definitely lies in the past. Many of these poems were inspired by my earlier experiences. The writing was raw and it would be years before it was ready to see the light of day. Writing became a permanent facet of my life the moment my father handed me a copy of “The Elfstones of Shannara” by Terry Brooks. I devoured the novel at the age of six. Tolkien followed shortly afterwards. Then Anne Rice, whose vampires, witches, and atmospheric settings were the inspiration behind many of the poems I penned. The final literary influence of my youth was Neil Gaiman. 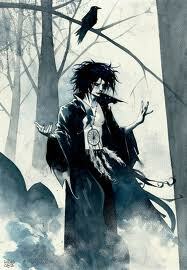 I remember going to Comics on the Green in Scranton every time I got paid to purchase another “Sandman” graphic novel. Of all the stories I’ve read – it’s the tale of Morpheus that resonates strongest with me. I also remember the many hours I spent with the Metal Militia: a motley crew of friends and musicians who introduced me to the world of heavy metal. James Heitfield, Ozzy Osbourne, and Jonathan Davis were the songwriters I followed. They sang of wars, inner demons, and the supernatural. Science fiction and horror movies were thrown into the mix as well. I gravitated towards all these themes. Though at times I try to deny it – I was and remain a hopeless romantic. Countless times I’ve gone for a walk under the starry night sky. These moonlit strolls were usually spurred on by some Irish ghost story I read or someone I was longing for at the time. This tendency to write romantic yarns isn’t completely contradictory. I still infuse enough elements of the supernatural to make these poems my own. What about the poets? Shouldn’t there be poets who inspired me? Yes. 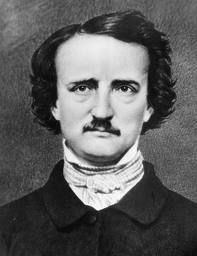 There was obviously some influence from Edgar Allan Poe. Samuel Taylor Coleridge also made an impression with his “Rime of the Ancient Mariner.” Maybe a splash of Byron, but it’s always really been about music and novels for me. Years passed with the bulk of the poetry in Nocturnal Wanderings residing on my computer. Unpolished. Unseen. As time passed my writer’s voice had developed. Creative writing courses and poetry workshops sharpened my skills. I looked over my work, felt confident I could make it worthy of publication. Enter Jason Stershic. Old friend and editor who took on the arduous task of helping assemble the book. All these poems I had crafted up to that point were gathered and reviewed. Many times. An elaborate excel spreadsheet tracked the number of re-writes, noted what work was to be saved or cut altogether. There were some heated debates over edits and cuts. Writers are always too critical of their work. Stershic was quick to point this out and resurrected many of the poems I tried to scrap. Being a writer and already familiar with my work, his aid was indispensable. Gradually, the project reached its conclusion. The rough edges from poems written up to a decade ago were now smooth. And as I looked over my work once more, it retained all of its nostalgia without sacrificing the skills I’ve developed. 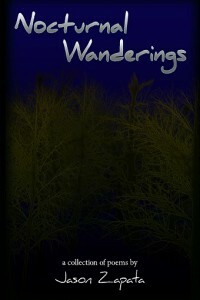 Nocturnal Wanderings is a poetry collection and a time capsule at the same time. I’m reminded of all the memories, people, and stories of my past whenever I flip through its pages. I’m proud that this work is finally seeing the light of day.